Whether you're mapping out your commutes or planning to join the gatherings — ranging from a march for immigrant and labor rights to an event by a far-right men's group — here’s what you should know. An annual march calling attention to labor and immigrant rights is typically the highlight of May Day in Seattle. In years past, though, people wearing all black and protesting capitalism have blended in with the peaceful marchers, either remaining relatively quiet — like last year — or wreaking havoc on Seattle’s downtown destroying property and injuring people. Meanwhile, other politically motivated activists have latched onto the holiday to call attention to their causes. A few groups, including the far-right men’s organization called “the Proud Boys” and another by people against the construction of a new youth jail in Seattle, are hoping their supporters come out Tuesday, too. Whether you’re planning to join the protests or you’re mapping out your commutes, here’s what you should know. 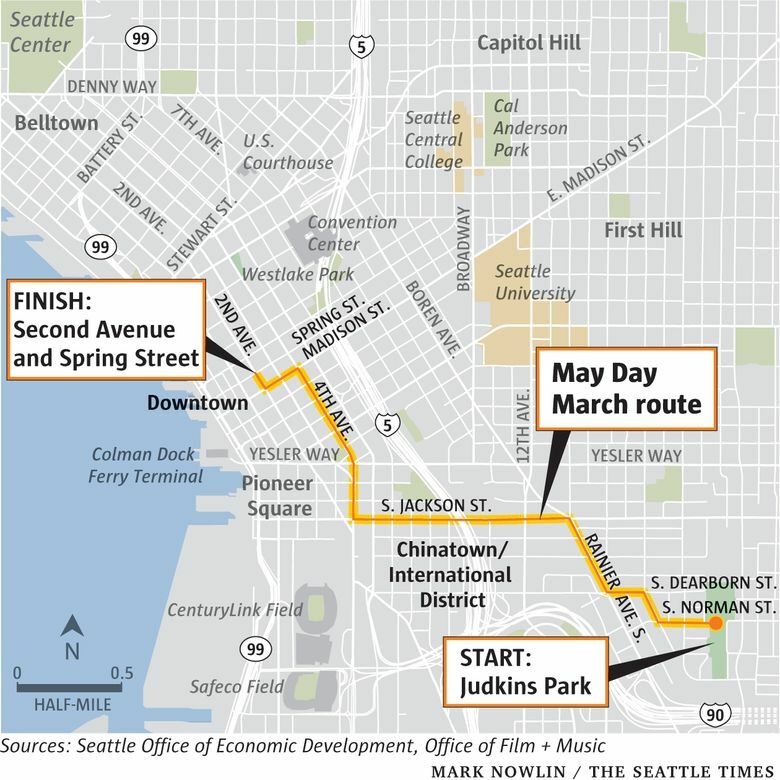 • The March for Immigrant and Workers Rights, now in its 19th year, will begin with a rally at Judkins Park, 2150 S. Norman St. at 2:30 p.m.
• A Facebook page for an event called “May Day support Proud Boys” asks supporters of a conservative political group from Vancouver, Wash., Patriot Prayer, to meet at Westlake Park at 3 p.m.
• Police believe a protest of people denouncing fascism or President Donald Trump may materialize to counteract the conservative group, according to Seattle Police Deputy Chief Chris Fowler, who has overseen the department’s May Day response over the past several years. • Another Facebook page for a gathering of artists against the new youth jail lists leaders, including former Seattle mayoral candidate Nikkita Oliver, starting a program at 4:30 p.m. Organizers have not publicized that event’s location. 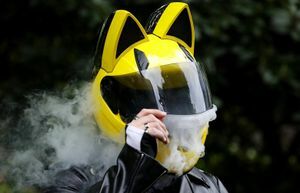 • Meanwhile, so-called anarchists are planning a “decentralized” approach Tuesday, meaning they hope followers disperse and gather at multiple locations citywide. 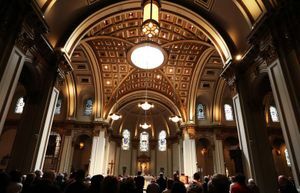 • “By holding one event in an easily predictable location, we will be putting ourselves at needless risk” of police or counter-protesters intervening, a web page for group says. • Police are urging people to plan for “considerable congestion” throughout downtown as marchers make their way to Second Avenue and Spring Street, between the estimated hours of 3:30 and 6 p.m.
• Follow @seattledot, @SeattlePD and @kcmetrobus on Twitter for updates on street closures and protesters’ whereabouts. • And check Metro’s online alert web page for more information on bus service, including reroutes. Sign up for email or text alerts here. How should businesses or workers downtown prepare? • Bring all outdoor signs, or other property on sidewalks, inside during the evening hours. • Close and lock dumpsters. • Secure or empty trash and recycling bins, including bottles or anything flammable. • Stay alert and call 911 if you notice a crime taking place. 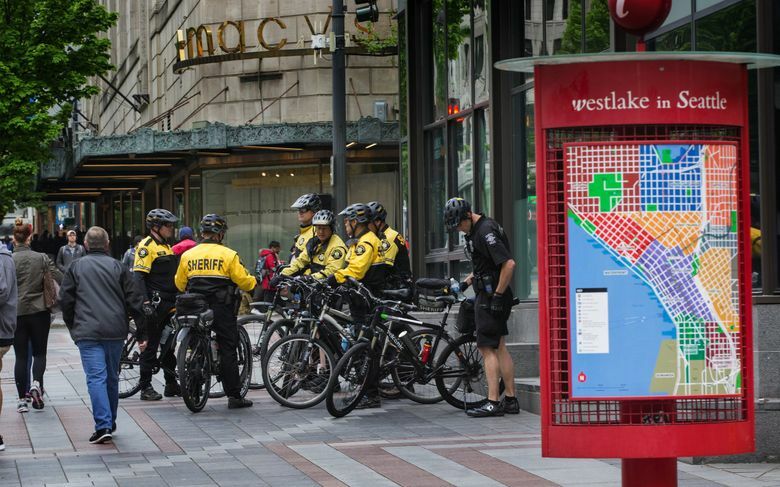 • Expect officers in riot gear and roving squads of bicycle officers who, in the past, have been used as rolling barriers to herd crowds away from businesses and each other. • They will spread throughout the entire downtown. • “Anytime you get small, violent crowds breaking up and moving throughout the city, that’s a worst-case scenario,” he said. • Officers will have devices called “blast balls” on hand, which they throw to explode and disperse crowds that become unruly. • Troopers from the Washington State Patrol, as well as officers from other agencies, will assist Seattle police, Fowler said. • Police arrested five people, and no one reported injuries or property damage in Seattle. • Fowler said from police officers’ perspective, the day was a success. 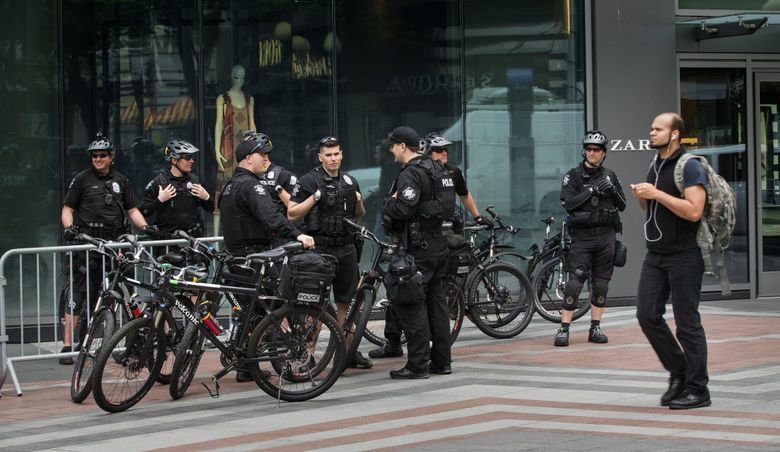 • The year’s May Day was relatively quiet compared to 2012, when police made numerous arrests after a group of about 75 black-clad protesters used long poles, hammers and other objects to smash windows on vehicles and at some downtown Seattle businesses. What is the history of May Day anyway? • May Day has traditionally been a celebration of workers’ rights and is a day of mostly peaceful protests and celebrations. • It marks the date of the Haymarket riots of 1886, when industrial workers in Chicago went on strike. • In recent history, pro-labor movements across the country have used the day to demonstrate for better wages and working conditions. • In recent years, the day has been used by groups to call for immigration reform. Seattle Times staff reporter Mike Carter contributed to this report.